Empress, maker of Media Asset Management software eMAM has integrated technologies from Marquis Broadcast to provide Avid users with the tools to manage and move media between eMAM and Media Composer. 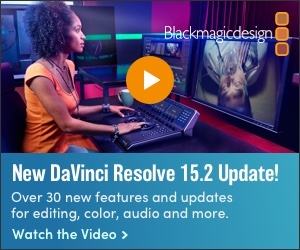 By combining Marquis Medway Engine Web Service (MEWS) with Empress eMAM, users can deliver media to a standalone Avid edit workstation, a shared network configuration, or an Interplay system. During the production process, Media Composer editors can move finished media back to eMAM via MEWS. Media is either rewrapped or transcoded and then indexed into the eMAM system for processing. Within the eMAM web interface, users can send review and approval requests, post email and social media marketing links, publish to OTT and streaming platforms, and deliver in any format to broadcast and newsroom systems. This complete end-to-end solution offers a seamless movement of media throughout the entire asset life cycle. The MEWS-eMAM integration allows stand-alone Avid Media Composers to transfer media in and out of their Avid edit workstations. The workflow supports the transfer of media from eMAM into the local storage of an Avid workstation. The content will be re-wrapped during the transfer into Avid’s MXF Op-Atom wrapper and transcoded if required. Completed sequences can be exported by the editors as an AAF using a ‘Send To...’ command. The export will initiate the export of the material and the production of a ‘flattened’ file of the sequence, which will be re-wrapped and optionally transcoded into the requested format.